Favorite Webpages: click here to view webpages voted the best in their class. 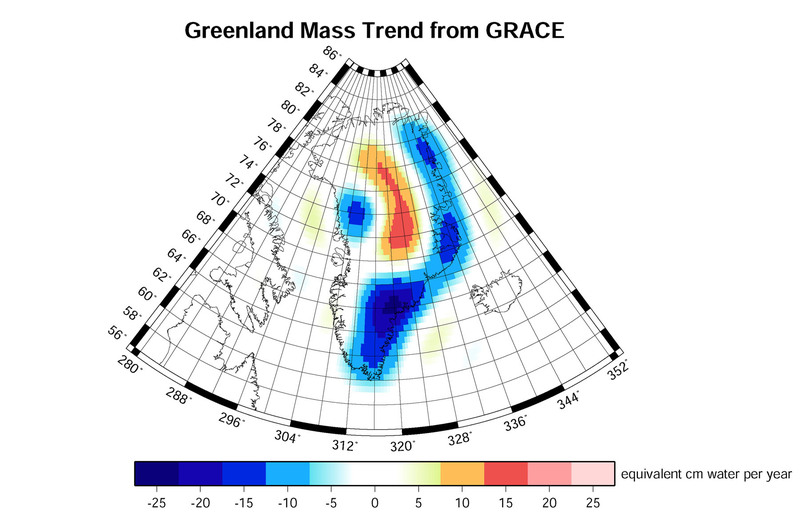 and here is one showing the mass loss from 2003 to 2005 deduced from measurements of the local gravitational field by the Grace satellites http://www.nasa.gov/centers/goddard/news/topstory/2006/greenland_slide.html the major loss for the period is in the South East. The central spine is gaining mass in the north, but the mass loss far outweighs the gain.